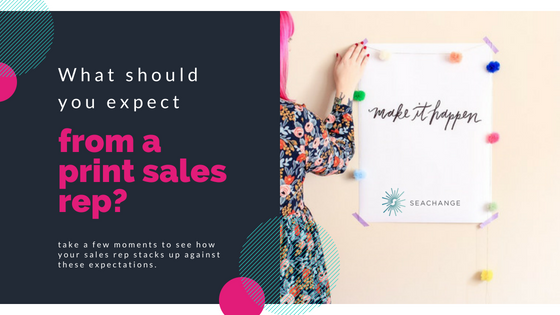 What Should You Expect from a Print Sales Rep? You've probably heard the old phrase "if it ain't broken, don't fix it." When it comes to relationships with print reps, many designers and marketers take this approach. It's natural to fear change, and sometimes sticking with the status quo just seems easier. Responsive partner - Delays aren't just frustrating you, they can compromise how your internal and external clients view you as well. Whether you're just starting a quote or you're on press, you deserve a rep who can respond quickly. Quotes should be turned within 24 hours, and open, honest communication should occur throughout a project to help prevent delays. Big-picture thinker - Reps see dozens of print projects every day. Take advantage of that experience, and expect your rep to offer expertise throughout the project. A good partner will suggest certain treatments that can enhance a project and offer tips that only come from experience, such as "soft touch doesn't work well with silver" or "a clear varnish on white will be almost invisible." 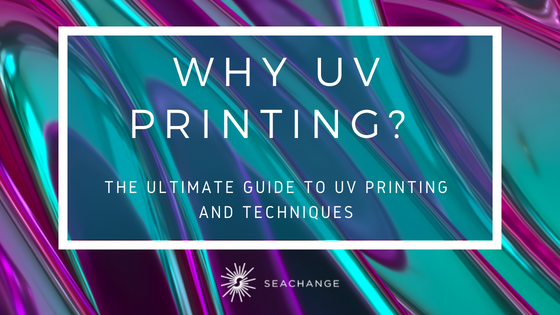 Bonus: Check out The Ultimate Guide to UV Printing White Paper. A printer with passion - Sure, print reps are essentially salespeople. But they shouldn't act like they're selling just another product. The printing industry is filled with beautiful design, creative thinking and strategic problem-solving - and your print rep should have a passion for them all. While you want a rep who supports your ideas, he or she shouldn't just go along with everything. Choose a rep who adds to the conversation. The right partner can inject excitement into even the simplest projects and help you stay inspired day to day. 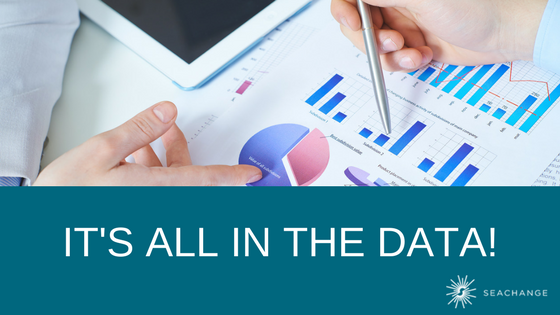 When we partner with clients to send direct mail or electronic campaigns, they entrust us with a lot of data. And we take keeping that data secure very seriously. 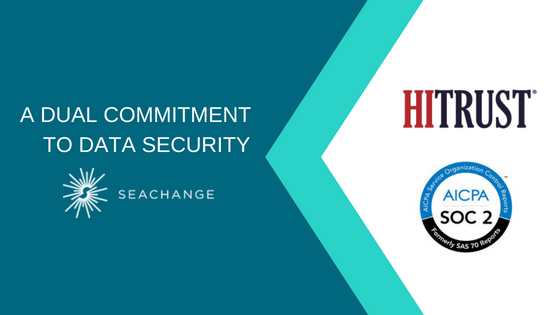 That’s why we just completed our annual audits for both SOC2 and HITRUST accreditation. Want to know more about how we protect client data? Connect with our chief technology officer, Arin Brown. We believe creative approaches come from teams with a wide range of experiences and perspectives. 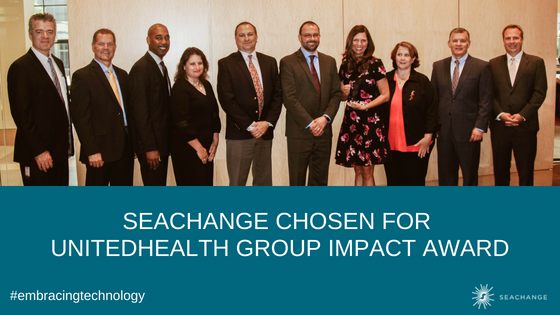 So you can imagine how excited we were when one of our clients, UnitedHealth Group, recently recognized us with an IMPACT Award for Technology and Innovation. 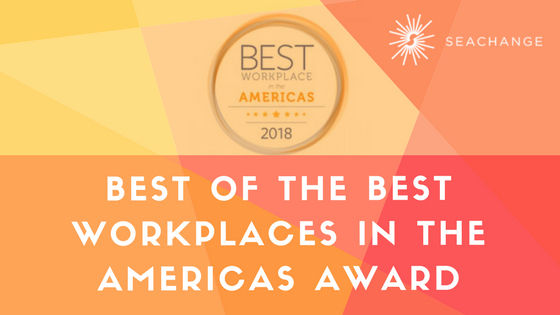 Like UnitedHealth Group, which has a Supplier Diversity program that hosts the IMPACT Awards, we’ve made a big commitment to diversity. We have a second-tier diversity plan with more than 10% of purchases from diverse suppliers, and 43% of our staff are female. 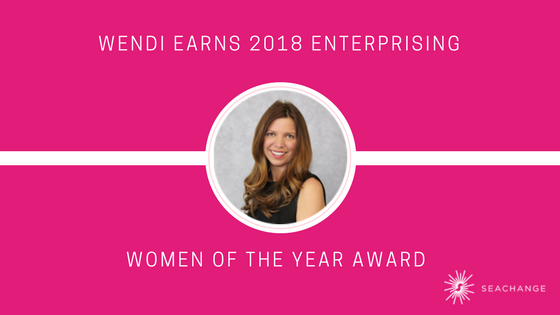 We’re also Women’s Business Enterprise (WBE) certified, and President and CEO Wendi Breuer serves on the NAWBO board of directors. Throughout your career journey you'll tell many stories with typography, photographs, illustrations and other beautiful design elements. UV printing has the power to make those interactions more memorable, impactful, efficient, and earth-friendly. Tactile interest- Of the five human senses, sight is fickle while touch has power-engaging the brain on a deeper level. Science has shown that when multiple senses are engaged, this is where the real connection happens. 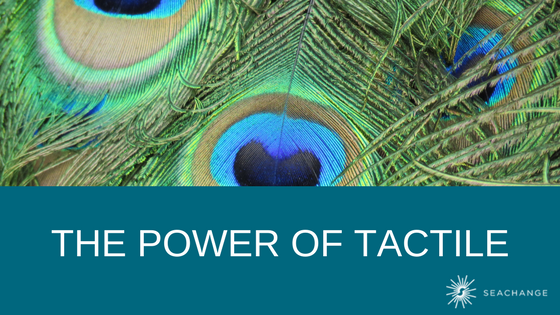 UV offers multiple ways to drive this connection, increasing brand impact. Precise results - The curing process eliminates over-absorption into paper, which leads to better ink holdout and finer quality. A must have when using uncoated paper! Quicker turnaround - Drying time for conventional ink is measured in hours and minutes, curing time for UV inks is measured in seconds. Press sheets can be moved to finishing immediately, as UV inks don't mark or smudge through equipment. Environmental benefits - Unlike solvent inks that dry via evaporation, UV inks dry instantly and do not release volatile organic compounds (VOCs), making it safer for operations and the environment. Environmental - UV printing is considered a green technology because it leaves an almost zero-carbon footprint and releases no VOC's into the environment. UV Cures Immediately - Because the inks are exposed to ultra-violet lights, they immediately turn from a liquid to a solid with almost no absorption of the ink into the paper stock. This means you can print on almost an substrate you can imagine when printing with UV inks. And, it's not just for paper and board stock. We can also UV print on styrene, PVC, polycarbonate, PETG, flexible vinyl, clings, metallic board or foil. Plus it's superior on uncoated stocks. 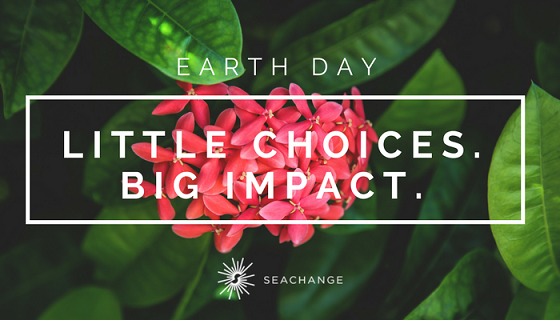 Earth Day: Little Choices. Big Impact. As we celebrate another Earth Day, it can be easy to feel overwhelmed by all the waste. 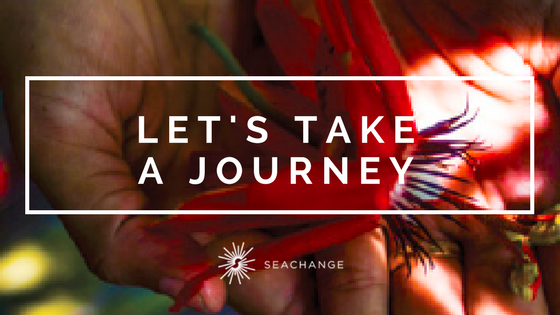 Even if we’re doing our part to reduce, reuse, and recycle, seeing pictures of pollution in big cities or trash islands in the ocean can make us wonder how can we make an even bigger impact. 68% of companies surveyed by the Digital Marketing Association called catalogs “effective” or “highly effective” in driving sales.3 Some companies that cut their printed catalogs brought them back later. Getting the right message in front of the right audience, at the right time can help drive a desired consumer behavior and contrary to what you might think, doing this successfully is not about capturing more data; it’s about capturing data that can drive better business decisions. In an InfoTrends study it was reported that over 61% of the surveyed 800+ enterprises used personalized and segmented communications today. Today’s marketers understand that data is the cornerstone of any effective marketing strategy—it is essential for customer acquisition, retention, and increasing the overall customer relationship. Each year Enterprising Women magazine honors the world’s top women entrepreneurs with its Enterprising Women of the Year Awards. Considered one of the most prestigious recognition programs for women business owners, it highlights those who demonstrate that they have fast-growth businesses, mentor or actively support other women and girls involved in entrepreneurship, and stand out as leaders in their communities. We can imagine no better fit than our very own President and CEO Wendi Breuer. Get ready to keep yourself (and your team) updated on the most relevant topics in our industry today.